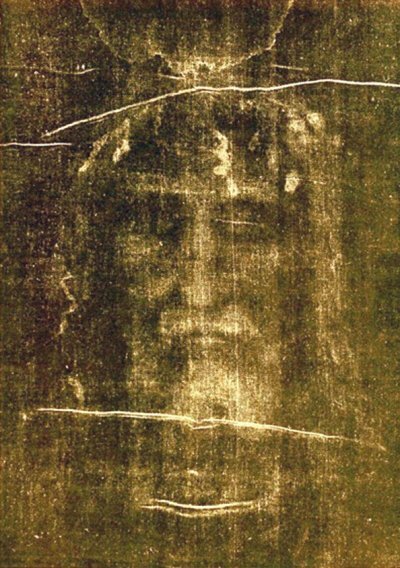 The most common picture of the Shroud of Turin is a photographic negative of the facial image on the cloth. Lighter and darker visually-blended colors are reversed. For instance, on the Shroud itself, the tip of the nose contains many color-bearing bits of coating close together that seems dark. But when photographed, the negative that is produced in the camera shows a nose tip that appears almost white. This phenomenon was not discovered until 1898 when an amateur photographer, Secondo Pia, first photographed the Shroud and, to his complete surprise, discovered that his photographic negative (a glass-plate in those days) was a positive image. 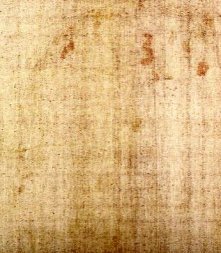 This visual characteristic of the Shroud's image led some to believe that the image is a form of medieval proto-photograph. Chemically, this is not so. The carbohydrate layer where the image resides is not photosensitive. Images analysis shows that the image is not the product of reflected light, which it would have to be if the image was photographic. It is hard to imagine how a faker of relics created a negative image hundreds of years before the discovery of photographic negativity. How did he know that he had it right with no ability to test his work. The negativity is extraordinarily precise and correct. And how did he do so by altering the chemical properties of the carbohydrate coating in which the image resides? But the big question is why?